Love the frozen Pineapple Dole Whips you can get at Disneyland? 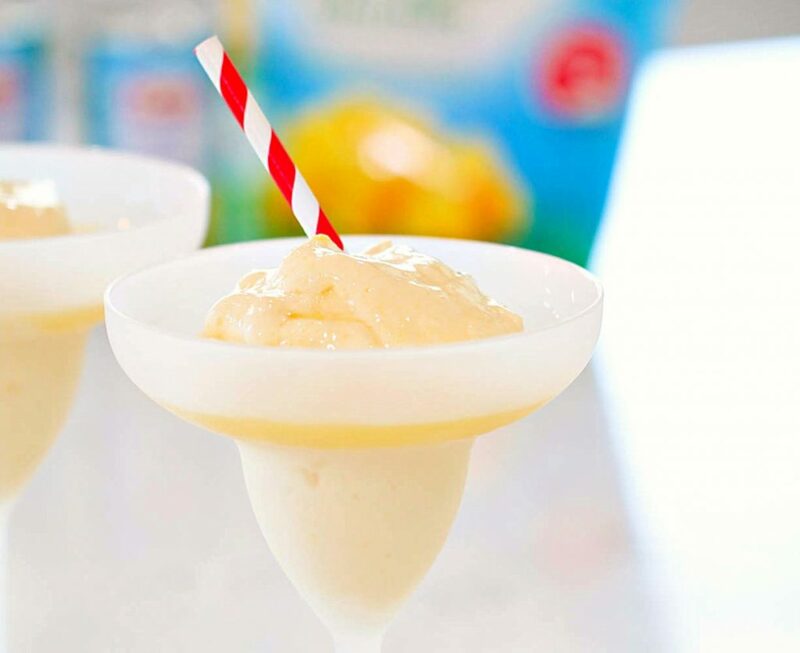 Now you can make Dole Whip right at home with this easy recipe! We LOVE Disneyland . 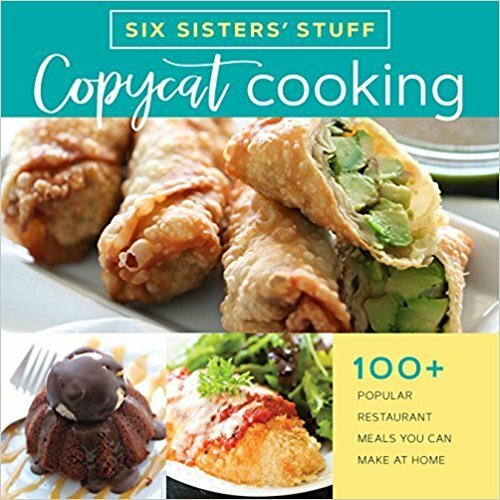 . . and all their amazing food, which is why we make so many copycat recipes! The Pineapple Dole Whips are one of out favorite treats at Disneyland. Sometimes the line for the Dole Whips is longer than some of the lines! So what is a Dole Whip? It’s a pineapple-flavored soft serve dessert that is sold only at Disneyland, The Magic Kingdom, Disneyland’s Polynesian resort, Disney’s Pop Century Resort, and Dole’s processing plant in Hawaii. Now you know why the lines are so long – they are hard to come by! It is so easy to make it at home – now you can enjoy all the delicious taste of a Dole Whip without traveling to Disneyland. We do know that the Dole Whips are Disneyland and Disney World are dairy free, gluten free, and vegan. For our recipe, we are using vanilla ice cream, which is not dairy free (but feel free to substitute a dairy-free ice cream of your choice). This recipe could not be easier! You will want a high-powered blender to make this treat (I used a Vitamix). First, puree the pineapple in the blender (it works best if the fruit is about half-thawed and kind of soft). Next, add the ice cream and juices to the blender and mix it all together. You can then eat it as is (like more of a soft serve) or stick it in the freezer for about 2 hours if you like it a little more set up. Scoop some Dole Whip into cups or bowls, pour a little more pineapple juice on top, and serve! Super simple. If you are looking for the best deals on a Disneyland or Disneyworld vacation, we use this website book our trips – they have killer prices and a layaway plan to pay for your vacation! Puree frozen pineapple in a blender. It works best if it is about halfway thawed. To that, add the ice cream, lime juice, lemon juice, and half (6oz) of the pineapple juice. Blend together until it is well mixed. Freeze the mixture for about 2 hours to set up. We found it made about 3 servings, but you can easily double or cut the recipe in half. Dream of Disneyland and enjoy! Well, she's in Utah, so I would think that she's talking about California. yes in FL also...they are delish! At the Magic Kingdom, Dole Whip can be purchased at the Aloha Isle in Adventureland. You can also get them at the Polynesian Resort in Disney World. For some reason they taste better than the ones sold in Magic Kingdom. They sell them in both Disney resorts. Yes, just as someone else posted, they are at the Magic Kingdom very near the Swiss Family Tree house, and right next door to where you meet Tinkerbell. It is called Aloha Isle. You can also get the orange flavor whip, or even a Dole Whip float (the whip plus pineapple juice). Very tasty and refreshing on a hot afternoon! They have them at Disney World. We had them last Nov 2013. I think it was at MK close to Swiss Family tree. They were wonderful! 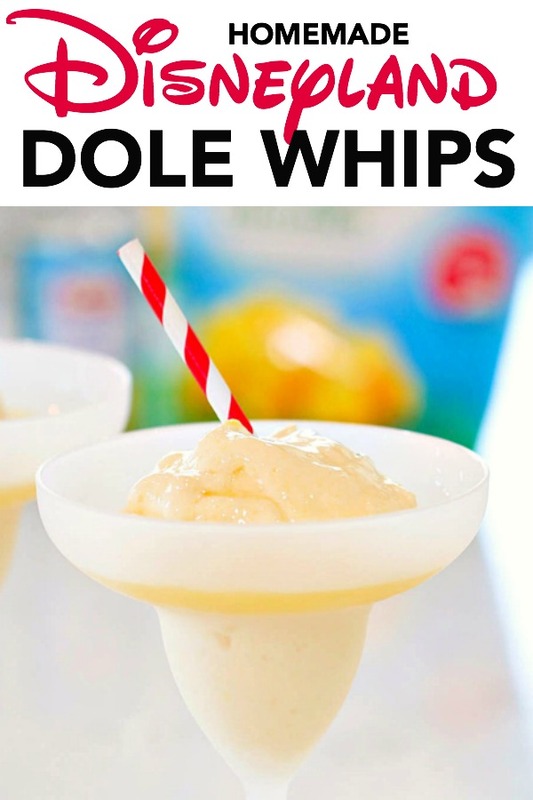 This recipe sounds delicious, but one of the reasons I am so in love with Dole Whips is because they are dairy free! All of the mock-up recipes use milk products...just wondering how they are actually made? I've seen a version on Pinterest that used almond milk and agave. Try to hunt that one down. It was tasty! 1 whole pineapple ? cut up and frozen overnight 1 cup of coconut milk (or milk of choice) Directions: Place frozen chunks of pineapple and coconut milk into a food processor or high powered blender. Turn on food processor and blend until the consistency becomes creamy. You may have to stop several times and scoop down the pineapple. Makes about 3-4 servings. I met my wife working at Aloha Isle at Walt Disney World almost 20 years ago. The Dole Whip is a powdered base mixed with water and chilled in a soft serve machine. I have tried several recipes. Can't find one like the real thing. :( After lots of searching, the thing I found is, from my understanding, it is a mix that they order. You can now purchase the original Dole mix of amazon. It's the real deal. Really Good! Even my husband who usually doesnt do sweets loved it! That's a wonderful recipe! Also, I would love it everyone would check my site out as well, http://theladypreferstosave.com. I've recently started a section on budget-friendly recipes as well! Thanks! They make it in Hawaii (as you might expect) at the Dole plant on Oahu, the malls and at the airport. I looked like all they were using was pineapple, but who knows? It was the best thing I've ever eaten on a hot day. I found a recipe that uses whipped topping instead. Like cool whip. This will make it dairy free! The recipe calls for ice cream? How, then, is this dairy free? Did see someone's suggestion to use whipped topping, like Cool Whip.???? Our recipe is not dairy free. It has ice cream in it! It is very delicious! These are my most favorite thing at Disney! This is sooooo exciting... We're in New Zealand and we had these at Disneyland so many times when we were on holiday - they were a favourite ...and now we can make them at home... Thank you! I put frozen pineapple through a Yonanas: one ingredient. It's awesome! Real Dole Whips are dairy free. They do not use ice cream. I am going to have to try this. i have not had one since the las time I went to Disney World around about 10-15 maybe even longer. I have never had a Dole Whip before, but this recipe is really delicious!! A definite keeper. Thank you! Looks delicious and cool. Good drink for hot weather. Did you know that you can have the real dole whip if you rent an ice cream machine? My wife's business www.doodillys.com rents the machines and sells the real pineapple dole whip mixes. I love this delicious treat! Someone me a great recipe that mimics this one almost perfectly, and is dairy free! Mix pineapple sherbert with 100% pineapple juice and you get an amazing smoothie! I love Dole Whips and am buying the ingredients to make this recipe. My Disneyland-loving granddaughter and I will make these when she is visiting for Spring Break next week. I will let you know how they compare to the real thing. Thanks for posting! Love love love love love!!! Absolutely the best recipe I have made in a long time. I'm telling all of my friends and even strangers in the grocery store, too good not to share! Can this be prepared overnight & served next day? You could try putting it in the freezer and serving it the next day. I am unable to find the recipe for the, Dole Whip Float. It looks like it is made with Orange juice, etc. If you could kindly let me know where I can find the recipe, I would be so grateful. I got the, Disneyland Dole Whip recipe, but there is a picture of the float and it is orange in color and the Dole Whip is yellow. So I know they are two different recipes. So please send it to me if possible. Many thanks.